The other day on a hike, I happened upon several hummingbirds. As I was watching them flit from flower to flower, I thought of a quote I once read about the difference between hummingbirds and vultures. In the church, there are hummingbirds and vultures. Although we may not talk openly about their presence, we instinctively know how to identify them and know how they affect others. Consider the vultures. They are the persons we almost dread running into. Nothing is ever right. They seem to thrive on the negative. They feed on what was. They live in the past. On the other hand, consider the hummingbirds. They are the persons we look forward to seeing and being in their presence. Their smile lights up a room. They seem to thrive on the positive. They feed on what can be. They live in the present, while seeking the possibility of new life ahead. 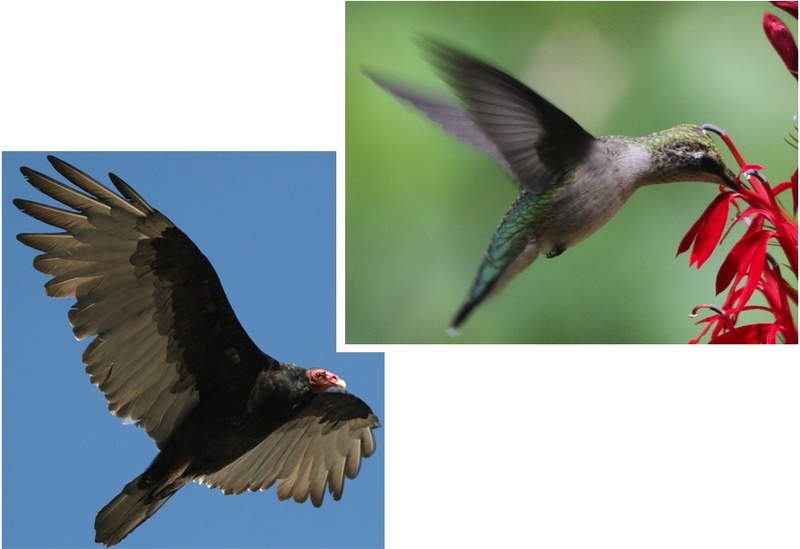 What is the difference between the vultures and hummingbirds? I think it comes down to one word--Attitude. Yet, too often we believe the difference solely has to do with someone's personality or upbringing. We justify their bad behavior through comments such as "Well, that's just June," "Well, they have had a lot to deal with in life" or "If you knew his father (or mother) you would understand." In the church, this kind of justification can be disillusioning and downright harmful. I believe the apostle Paul knew this as he observed the personalities and attitudes of those in the early church communities. While imprisoned in Rome, word had probably reached Paul from young Timothy or John Mark that new believers were becoming disillusioned and confused about what it meant to be a part of the faith community. Perhaps many believed that being a part of the faith community was supposed to automatically erase all the stress, strife, and frustrations of life and all doubts were to dissipate. "Since, then, you have been raised with Christ, set your hearts on things above, where Christ is, seated at the right hand of God. Set your minds on things above, not on earthly things. You used to walk in these ways, in the life you once lived. But now you must also rid yourselves of all such things as these: anger, rage, malice, slander, and filthy language from your lips. Do not lie to each other, since you have taken off your old self with its practices and have put on the new self, which is being renewed in knowledge in the image of its Creator." I believe what Paul points to is an unchanging truth--our attitudes, our perspectives make a BIG difference. Paul reminds us we must choose to have the attitude of Christ, laying aside old, destructive patterns and behaviors. For these patterns and behaviors, do not only affect ourselves, but also those around us. The hummingbird and the vulture have two very different approaches, yet each finds what it is looking for. The same is true for all us. The question is--What will we choose? Will we be the vulture or the hummingbird?